This is Day 28 of the series 31 Days in the Life of a Christian Writer. Each post has been written in five minutes flat as part of the 31 Days of Five Minute Free Writes Challenge. Deep down, we’re all craving connection. As Christian writers, we may feel it more than others — the loneliness that comes with trying to follow your calling to be light in the darkness, to speak life into the echo chamber of pain and sadness that covers the world like a thick cloud. So often we sit alone with our thoughts. The voices in our head whisper discouragement and defeat. We might as well give up. As people made in the image of God, we were created for connection. We were made for relationship, just like our Maker. It may not be easy, but it’s oh so important to take that first step and reach out to others. Send that text message. Type that email. Leave that blog comment. Invite that friend for coffee. Do something to connect with someone else today. Living in relationship and community is just one way we glorify our Father in heaven. If you’re struggling in your writing life, I encourage you to find a community. 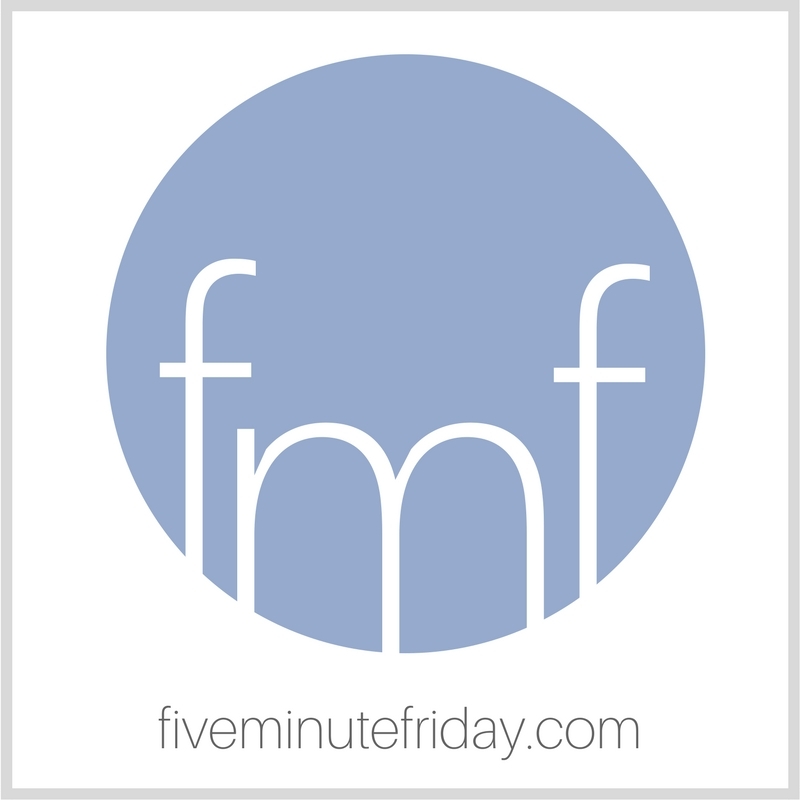 Join Five Minute Friday. Join a Christian writers’ Facebook group. Join other link-ups. Find a writing buddy to pray for you and hold you accountable. Use Voxer. Whatever you know fills your soul with godly encouragement, do that thing today. Or maybe you’ve been blessed to have found a wonderful community already, but you see someone on the fringes who’s lingering a bit on the sidelines. Tell her you notice her. Ask how she’s doing. Give her a word of encouragement. Lift your sister up with the comfort you yourself have received from God. Want to read more? Find more posts in this series here. I know what it means to crave connection. I am so thankful for this community and your faithfulness to it.